Golf in the Olympics has caused quite a stir…the world’s best have opted out of competing and there is a little flatness associated with the event but we here at Your Golf Travel couldn’t be happier that another great event has been added to the calendar and we’ll certainly be cheering on, well pretty much everyone, in their quest for a gold medal…but if Danny Willett wins and his brother’s twitter commentates again like he did for his Masters win we’ll probably be most happy. What are the dates for The Olympics Golf? 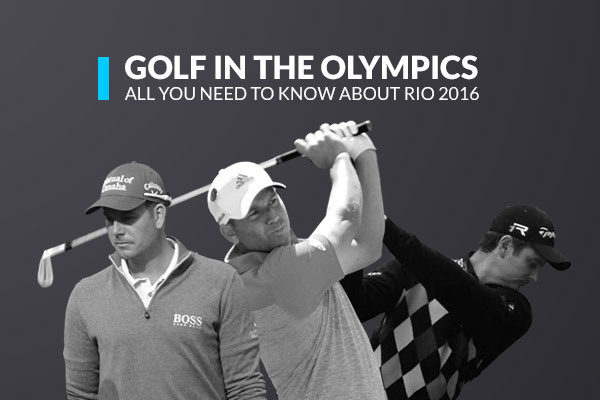 Golf is making its much anticipated return to the Olympics after a 112 year absence. The men’s competition spans from Thursday 11th August to Sunday 14th of August with the women’s competition commencing the following week, taking place from the Wednesday 17th August to Saturday 20th August. What is the format for The Olympics Golf? The format for both the men and women’s is the traditional 18 hole stroke play. Each player will play 4 rounds in 4 days and the competitor with the lowest score at the end of the 72 holes will take the coveted gold medal. However, unlike a normal PGA Tour, LPGA or European Tour event there will be no halfway point cut, due to the a small field of only 60 players. Justin Rose, Rickie Fowler and Jhonattan Vegas. 10:58 in Brazil, 14:58 GMT. Danny Willett, Matt Kuchar and Haotong Li. 09:03 in Brazil, 13:03 GMT. Bubba Watson, Martin Kaymer and Anirban Lahiri. 09:14 in Brazil, 1314 GMT. Henrik Stenson, Thongchai Jaidee and Rafael Cabrera-Bello. 11:09 in Brazil, 15:09 GMT. Sergio Garcia, Patrick Reed and Emiliano Grillo. 10:25 in Brazil, 14:25 GMT. Justin Rose, Rickie Fowler and Jhonattan Vegas. 09:03 in Brazil, 13:03 GMT. Danny Willett, Matt Kuchar and Haotong Li. 10:58 in Brazil, 15:58 GMT. Bubba Watson, Martin Kaymer and Anirban Lahiri. 11:09 in Brazil, 15:09 GMT. Henrik Stenson, Thongchai Jaidee and Rafael Cabrera-Bello. 09:14 in Brazil, 13:14 GMT. Sergio Garcia, Patrick Reed and Emiliano Grillo. 08:25 in Brazil, 12:25 GMT. Who are the best players and who is most likely to win The Gold Medal? Henrik Stenson’s recent run of incredible form has him placed at 5th in the world and thus making him the best male golfer at the 2016 Olympic games. Stenson is a streaky player and after having just one the British Open in triumphant style it is very hard to write him out of Gold medal contention. Right on his tale in the world rankings is two time Masters champion Bubba Watson. His victory in the 2012 Masters via a playoff proves that he can hold his nerve in pressure situations and therefore potentially giving him he the edge if it was to come down to a pressure putt on the last day for the coveted Gold medal? Great Britain’s Danny Willett is not to be forgotten and after having won his first major this year at Augusta National he is clearly not afraid of the big stage. The other British name amongst the field is world number 12 Justin Rose and despite the fact he is yet to win a tournament in 2016, the 2013 US Open champion has proved on numerous occasions that he has the ability to clinch the gold medal in Rio this year. The women’s competition begins on Wednesday 17th August and with 7 time major champion Inbee Park from South Korea in the field she is one of the favourites to win the event. Both the female British golfer’s also stand a good chance of winning and adding an Olympic medal to their locker. Former Women’s British Open Champion Catriona Matthew is full of experiences on the big stage and alongside 20 year old Charley Hull they go in pursuit of Great Britain’s first ever medal in women’s golf. Who isn’t playing in The Olympics Golf? With only 2 of this year’s 4 major winners competing in the men’s Olympic golf the field is most definitely not as strong as it could be. Amongst the long list of drop outs are, 2015 Masters winner Jordan Spieth, 2015 US PGA winner Jason Day and 2016 US Open winner Dustin Johnson who have all pulled out of the games through fear of the zika virus. However, this health concern is not the only reason why players have chosen to give the 2016 Olympic games a miss. Other big name players such as, 4 time Major Winner Rory McIlroy and 2013 Masters champion Adam Scott as well as having concerns regarding the zika virus have also failed to be inspired by the prospect of an Olympic gold medal and instead have opted to focus on the PGA tour. Where is The Olympics Golf being played and how do you get there from Rio? The 2016 Olympic Golf Course was purpose built for the games and will be open to the public after the games have finished. The golf course is unique in the sense that there is no actual rough or trees on the course. Instead lining the fairways are native areas of grass and sand which will provide a new challenge to a lot of the players in the field. The par 71 golf course will be 7,128 yards for the men and 6295 yards for the women which is short compared to some of the tour courses they will have played on throughout the year. The golf course is located just outside the main centre of Rio de Janeiro and is easily accessible by public transport as it is only a short 300m (4 minute) walk from the Especial JD. Oceanico X Golfe Olimpico train station. How do you qualify for Golf in The Olympics? Qualification for the 2016 Olympics was based on the player’s world ranking position as of the 11th July 2016. A maximum of 60 players were able to qualify for the men’s and women’s event. The top 15 players of each gender qualified, with a limit of four players per country that can qualify in this way. The remaining places went to countries who had not already filled their allocation of 2 players, with the number of golfers allowed being limited to two. How does an Olympic Gold Medal rank against a Major Championship win? Justin Rose’s class prevailed as he held off Henrik Stenson in the last round of the 2016 Olympic golf to become Great Britain’s first Olympic Gold medallist in the sport. Rose’s gold medal campaign got off to a steady start as he shot a 4 under 67, in a round that included the first hole in one in the history of Olympic golf. His flush iron shot on the par 3 second was a dream start to his pursuit of the gold medal and perhaps set him up for the weekend a head. His 69 in the second round was steady and gave him the platform he needed to hunt down the second round leader, Marcus Fraser over the course of the weekend. The 2013 US Open champion’s stroke making and short game was one to be admired in the third round as a score of 65 meant he went into the Sunday at the top of the leader board. At 11 under par Henrik Stenson was only one shot off the lead and the 2016 British Open winner went toe to toe with Rose as he too looked to clinch gold. Neither player gave the other an inch and with both men heading to the 18th on a score of 15 under par, it was all to play for on the last. Stenson ended up leaving the door wide open as he bogeyed the last gifting Justin Rose two putts for the victory. Rose only needed one as he went onto drain his birdie putt and claim gold. The format of the Olympic golf left many people feeling slightly empty. Despite the fact that a 72 hole stroke play structure is the default manor in which the winner of PGA Tour and European Tour events are decided week in week out, many people (professional golfer’s included) felt golf’s return to the Olympics was not as ‘major’ as hoped. Many of the world’s best players didn’t feature for a variety of reasons but perhaps the most shocking was that they did perceive either the prospect of a gold medal or the growth of their own sport a priority. One of the primary reasons behind golf being reintroduced to the Olympics was to promote the sport and get more people playing it. A number of those who made up the galleries of the 2016 Olympic golf in Rio had probably never played or watched a vast amount of golf before and instead were attending to purely be a part of the Olympics. Therefore, the format perhaps should of been tailored to this. Rose and Stenson’s matchplay esk battle on the Sunday drew in a full crowd and what is to say that an official matchplay format across all 4 days would not attract a capacity audience in Tokyo 2020. Matchplay is not the only option, mixed foursomes is another potential format that would promote both golf in general and the women’s game. For example, each nation would enter 2 teams and they would be composed of the top ranked male golfer and the top ranked female golfer for that country.